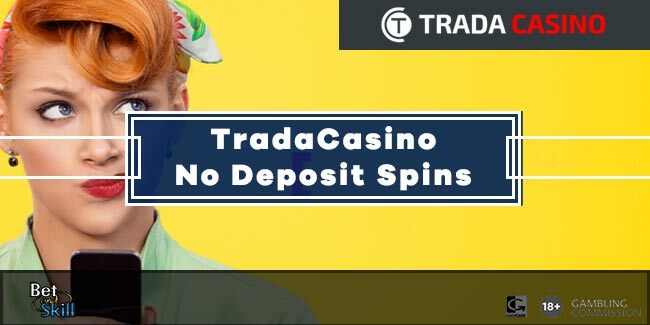 Sign up today at Trada Casino for your 50 no deposit free spins bonus! 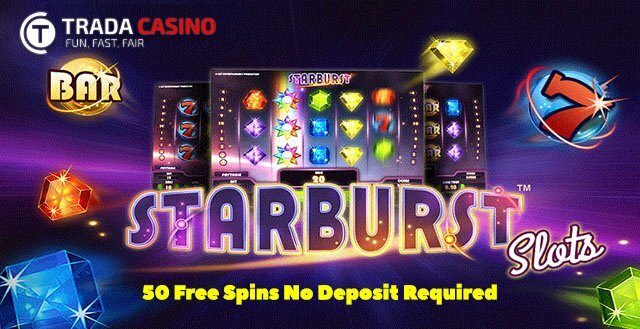 Spins will be issued straight away and will be available to play in the very popular game Starburst. Bonus code is “50STAR” (“50STARM” for mobile players). Trada Casino is a smart, intuitive and trustworthy online casino. It offers an impressive array of casino games from online slots, blackjack, roulette, poker, dice games and bingo. Plus you can play on the move with their mobile casino available on Android, iOS and Windows devices! Trada Casino is licensed and regulated by the UK Gambling Commission, Isle of Man Gambling Commission and eCOGRA so all games are thoroughly tested for fairness. You can play here with confidence. No Deposit Free Spins have a wagering requirement of 35x free spins winnings, which only comes into effect once you have made your first deposit. The maximum withdrawal amount is USD$100 which can only be withdrawn after you have played through the 35 times wagering requirement. Any player that deposits less than £/€/$10 is subject to a maximum withdrawal amount of USD$50. Deposit match bonus has a wagering requirement of 25 x (Deposit + Bonus) prior to any withdrawal being possible. Free spins for first deposit have a wagering requirement of 35 times winnings and a maximum cashout of $400USD. Minimum deposit for bonus is £/€/$20 | Maximum is £/€/$100. Bonus must be claimed at time of deposit and will not be applied retroactively. 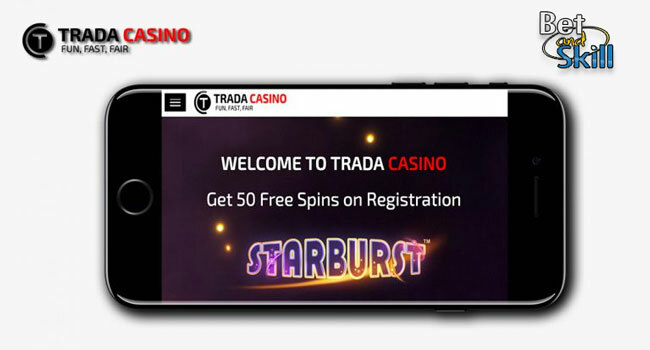 "Trada Casino 50 free spins on Starburst (no deposit required)"